Growing consistently strong, healthy plants from seed isn’t as easy at it might first sound. To the new gardener laden with seedling trays, a bag of potting compost and an array of seed packets… be aware; there is road full of trial and error ahead. Don’t let this deter you though! There is huge satisfaction in eating freshly grown veggies that you have nurtured from seed meaning that you know exactly what has gone into the food on your plate. By following these simple tips you can give your plants the best possible start. The first step is to choose which plants you should grow from seed. Think about how much space you have to grow the seedlings? If you are starting seedlings indoors, you will need to find a warm area to germinate your seeds and a well-lit area for your seedlings to get started. If you only have a small windowsill then don’t expect to be able to grow enough plants from seed to fill a large garden! Similarly, think about how much time you have. Seedlings require daily attention and potting on can be time consuming. Make sure you have enough time available to give your seedlings the necessary care and attention! Also, think about how many plants you want in the end. For example , if you only expect to need two tomato plants, there is no need to grow 20 seedlings. Where you only want one or two plants of a particular variety then you may be better off buying ready-grown plants and focus on seeds for plants that you want a regular supply of fresh plants and/or a larger number of plants. Great vegetables to grow from seed include lettuces, carrots, peas, beans, brassicas (cabbage, broccoli etc), radishes etc. You will likely want quite a few of each of these in your garden. Plus you’ll get a longer harvest if you sow these plants on a regular basis. Depending on your local nurseries and garden centres, you may want to grow certain plants from seed so that you can get a wider variety of vegetables. Last, but by no means least, think about what you like to eat! If you don’t like shop-bought broccoli (for example), chances are you won’t get great enjoyment out of homegrown brocolli either! Make sure to buy fresh seeds. Seed packets will have a ‘sow by’ or ‘packed on’ date. Older seeds, and especially those past their ‘sow by’ date, will likely have a poorer germination rate. Garden centres and nurseries are a great source of seeds as they tend to have a wide variety of seeds and a high turnover of seeds and are likely to have fresher seeds. If possible, buy seeds from local producers. Local seeds will have been grown and harvested in climates similar to your own garden and are likely to be varieties that do well in your area’s soil and climate. Local seed swaps are another great source of seeds from plants that thrive in your local area. Look to your local gardening clubs, garden societies, community gardens, allotments and libraries for information on local seed swaps. Or why not get together with your gardening friends and neighbors and start your own seed and plant swaps. Finally, make sure to read and follow the instructions on the seed packets! Resist the urge to sow your seeds as soon as you get home! OK, so you’ve selected the best seeds to grow in your garden. Next you need to think about the soil that you are germinating these seeds in and growing the young seedlings in. Many people choose to use commercially available potting composts for germinating seeds and avoid using garden soil due to risk of introducing disease and pests to young, vulnerable seedlings. 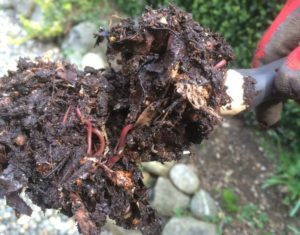 Personally, I have had always had fair success using my own garden soil and compost for germinating seeds but be sure to remove any grubs and worms from the soil first and, ideally, sieve the soil before you use it. 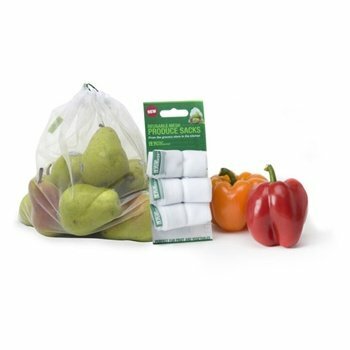 Tip: Did you know that potting compost is often sterilized before being bagged and shipped? Whilst potting compost is full of great nutrients and organic matter it can often be lacking in microbes and other living organisms. 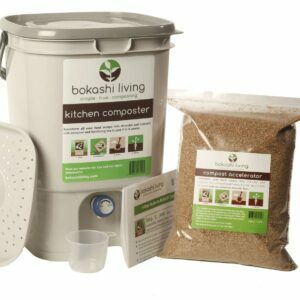 Adding a handful of bokashi bran to your potting compost will reintroduce these essential microbes. Adding approximately 1 cup of bokashi bran for every cubic foot of potting soil works well. Your seedlings will love the extra addition! Most seeds will germinate above approximately 21 degree C. For large seeds (such as peas, beans, sweetcorn and squashes) you can soak these overnight to speed up germination but many of these will germinate on their own but will require more patience. Once germinated make sure your tiny seedlings have plenty of sunlight and are not too warm (around 18-20 degree C is ideal). Limited sunlight and warm conditions will result in spindly, tall seedlings. Try doing regular sowings, say once every couple of weeks. This way, if some of your seedlings are a bit spindly due to colder, darker conditions you can use those from other sowings. Sowing seeds regularly will also allow you to prolong the harvesting period for your crops. You can risk planting out a few of your seedlings early. You may be fortunate that there are no more frosts and enjoy an early crop. If you are unlucky and get a frost then you will only have lost a few of your plants. The same is true at the end of the season. You may get a warmer fall than expected and a later crop than usual. Wherever possible, follow the instructions on the seed packets for potting on and hardening off seedlings. It can seem hard to thin out and throw away seedlings that have barely started. Unfortunately it is a necessary part of growing plants to make sure that your plants aren’t unnecessarily competing with each other. When potting seedlings on and planting them out, make sure to only select the strongest looking plants. Desperately trying to revive the weaker plants and/or overcrowding your vegetable and flower beds will be detrimental to all of your plants and will affect your final crop. If space in your garden is limited, get inventive. Many plants can be trained to grow vertically, such as squash and tomatoes. Strawberry pots are a great way to save space and keep the fruits up off the ground. Similarly, many plants can be grown in containers on your patio or even on your windowsill such as herbs, leafy vegetables (lettuce, spinach etc), peppers, and cherry tomatoes.